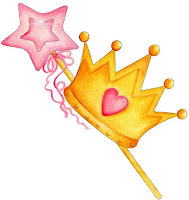 Story Saturday: "An Ordinary Life"
"An Ordinary Life" Once upon a time, there was a princess who was very sad. Though she had everything her heart desired, her parents had both been struck with the same illness. The greatest physicians in the land had tried everything they could to treat them, but all attempts proved fruitless. It seemed that only magic could help them now. The princess knew that all the luxuries in the world could not make her happy without her parents who she loved so dearly, so she sought the aid the aid of a witch. She knew that witches were dangerous, but she was willing to do whatever it took to help her dear parents. "How much are you willing to sacrifice in order to save them?" asked the witch. "I would give up everything I have and everything I am if it means my parents could live another day," said the princess. Did The Shape of Water Draw Inspiration From "The Little Mermaid?" A couple of weeks ago, director Guillermo del Toro released his latest masterpiece, The Shape of Water. Though not exactly a princess movie, del Toro tends to draw inspiration from fairy tales and mythology. His 2006 blockbuster Pan's Labyrinth was an "Alice in Wonderland" inspired movie set in the midst of a Spanish war. Like The Shape of Water, it was very much its own story, even though the fairy tale elements were still present. Del Toro is better at using fairy tales as a jumping off point and putting his own spin on his films, which might be one reason that his adaptation of "Pinocchio" got canceled. In the same way that Pan's Labyrinth borrowed elements of "Alice in Wonderland," I think that The Shape of Water borrowed from "The Little Mermaid." Let's take a moment to explore this theory. Is Anastasia Now a Disney Princess? Have you heard? There's a rumor in St. Petersburg! Disney has bought out Fox for $54.2 billion earlier last week. They mainly did this to obtain ownership of what few Marvel properties they didn't own yet, but as an added side effect, they now own other animated properties including The Simpsons and everyone's favorite Don Bluth princess, Anastasia. Anastasia recently celebrated its 20th anniversary and is still going strong on Broadway. What does this merger mean for the many fans of the franchise? To be honest, probably nothing. However, there are those who are keeping their fingers crossed that this historically inaccurate redhead will be added to Disney's elite group of princesses. Could this dream become a reality once upon a December? 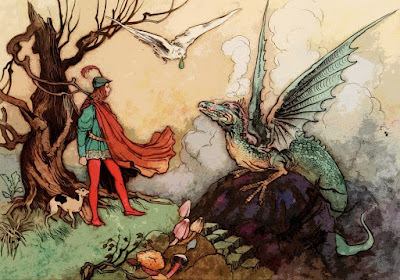 Story Saturday: "The Dragon and the Runt"
"The Dragon and the Runt" Once upon a time, there was a powerful dragon guarding a great treasure. The dragon surrounded herself with glittering gold and adorned her scales with jewels that sparkled in every color of the rainbow. She loved her treasure so much that she would scare away anyone who dared to come near it by breathing blazing hot blasts of flames at them. Legends of her vast riches spread throughout the land, but only the bravest of knights would ever dare to face her and risk their lives over such a reward. It seems like everywhere you turn, a series from our childhood is getting revived. From Fuller House to Raven's Home, all of our favorite characters have grown up and gotten smartphones. There was even a new Hey Arnold! movie recently. What does that mean for princesses? A ton of live-action remakes, for one thing. That doesn't mean that animation is completely dead, though. Lately, there have been several announcements about our favorite childhood princess cartoons getting revived with new artwork and new stories. This is good news for traditional artists because it means that CGI still hasn't completely taken over the world of animation. It also means we have an opportunity to relive the things that made us happy as children without the awkward feeling of being outdated. Tonight is the night you've been waiting for. I had (nearly) front row seats for Laura Osnes's Broadway Princess Party at the Segerstrom Center for the Arts, and I'm here to tell you all about it, as promised. Even though getting to Costa Mesa from Hollywood during rush hour was a bit of a hassle, it was completely worth the wait. Though tonight was the first of three performances only at the Segerstrom, the show has been traveling around in other places for roughly two years. Tonight's concert featured three very prestigious princesses of Broadway. 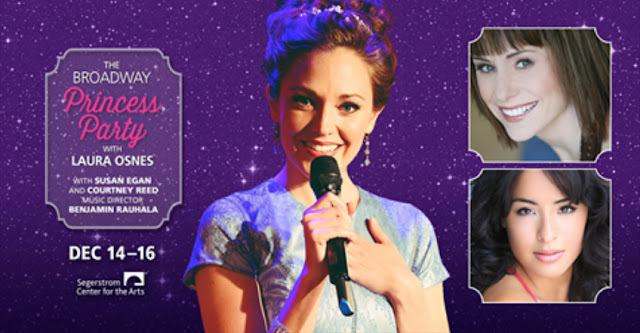 Laura Osnes, the headliner, starred in a revival of Rogers and Hammerstein's Cinderella. Susan Egan, who needs no introduction but I'll give one anyway, is famous for originating the role of Belle on Broadway and doing the voice of Megara in Disney's animated 1997 feature, Hercules. Last but not least is Courtney Reed, who originated the role of Jasmine in Disney's new Broadway production of Aladdin. Story Saturday: "The Mountain and the Knight"
"The Mountain and the Knight" Once upon a time, there was a brave prince who loved to be challenged. He had slain dragons, rescued damsels, and defeated witches. Legends of his achievements had spread far and wide. One day, the prince heard rumors of a mountain that was so perilous, no man had ever climbed it and lived to tell the tale. Soon, the prince was filled with determination to climb the fabled mountain and return to spread hope to his people that anything is possible. The king and queen advised him against this, for he was the only heir to the throne. They warned him that if he shared the same fate as the others who climbed the mountain, the kingdom would one day be left without a ruler. The prince was so confident in his abilities that he ignored their warnings and snuck off to the mountain in the middle of the night when his guards were asleep. There are many princesses who come off as introverts. Cinderella, Belle, and Tiana prefer to keep to themselves and avoid social situations if given the opportunity. Since they were not raised as princesses and lead generally quiet lives, this is not a problem for them during the course of their movies. However, as we get older, it becomes more and more difficult to avoid such situations. An inability to maintain the proper amount of social decorum can make it challenging to show the world that you are a modern princess. 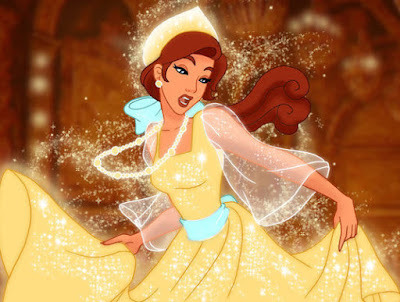 Keeping to yourself is often misinterpreted as pretentious, a criticism that even Belle has faced from naysayers. Is it possible to maintain your princess mannerisms in social situations without running away like Elsa? "Princess Godmother" Once upon a time, Princess Julia found herself in a hopeless situation. A greedy soldier from an enemy kingdom had kidnapped her while she was asleep and locked her in his kingdom's dungeon. She knew she had to escape. What she didn't know was how. Her arms and legs were shackled to the wall, and she hadn't eaten in days. Her tattered nightgown would have made it difficult for anyone to believe she was a princess even if she did find a way to escape. She refused to tell her captors anything about her father's armies or plans to defeat them, for she knew they needed her alive so they could continue to use her as collateral to control her father. 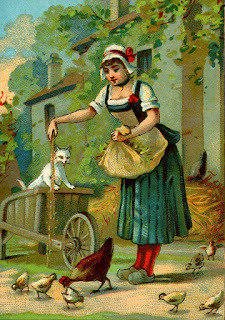 Her captors did not seem all that smart to her. If she could only free herself from these shackles, she knew she could find a way to escape. December is here, which means there's no fighting the holiday spirit. Lights are twinkling, Christmas songs are invading all the radio stations, and princesses are spreading their holiday cheer. Holiday specials that feature our favorite princesses usually come in the form of cheaply produced sequels, but there are other forms of media as well. For instance, there was a Disney Princess DVD called "A Christmas of Enchantment" released in 2005 that contained mash-ups of clips and shorts from various Disney productions, but it quickly fell in the same direction as the Disney Princess Enchanted Tales series. There was also a Disney Princess Christmas Album released in 2009 with new holiday songs performed in many of the original voices of the Disney Princesses in which they harmonize beautifully about their excitement for the holiday season along. The album contains a few covers of classic Christmas songs as well.